75 backers funded this project with $ 2,248 USD ! 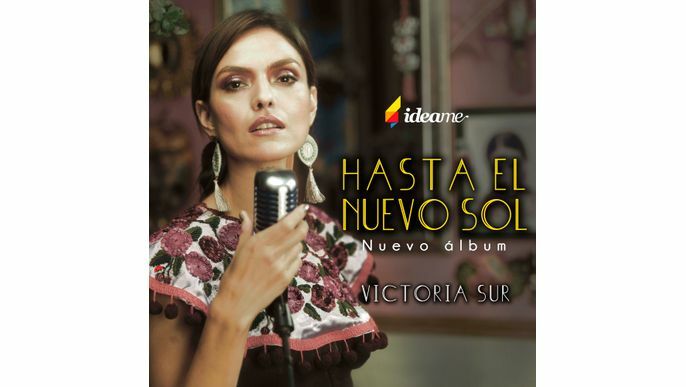 Receive the mp3 of the new album "Hasta el nuevo sol". 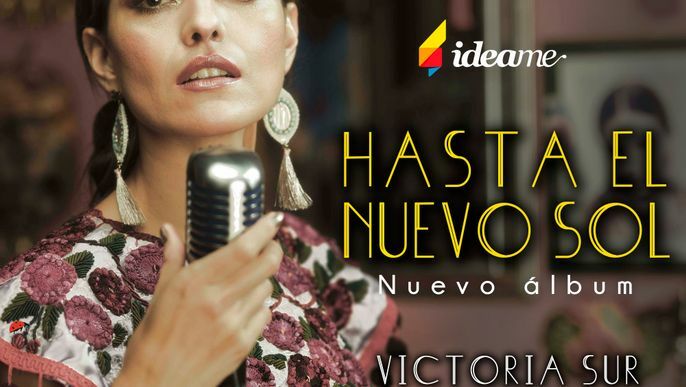 Receive the album "Hasta el nuevo nuevo" at the door of your home. Includes shipping to any part of Colombia. If you live outside Colombia the shipment must be mutually agreed. Receive the album "Hasta el nuevo nuevo" with a special dedication. Includes shipping to any part of Colombia. If you live outside Colombia the shipment must be mutally agreed. Receive the new disc plus one of the handwritten and signed letters. I will only write one letter for each of the 10 songs on the disc. Would you like to have one? Enjoy the new album while you drink a delicious almond tea rooibos with amaretto. It tastes and smells delicious! it's one of my favorites of Tea & Soul. (Includes tea can + infusor of musical note shape). If you live outside Colombia the shipment must be mutually agreed. Receive a customized class of singing focused on what you are most interested in working: vocal technique, vocal exploration, improvisation or interpretation. Duration: one hour and half. (Available only in Bogota). Receive two tickets to the launch concert of my new album to be held on May 5 at the Teatro Mayor Julio Mario Santodomingo (Teatro Estudio) in Bogotá + 2 cds (Hasta el nuevo sol + Tu continente) signed . You'll be special guest! (The internacional shipment must be mutually agreed). Receive a box that I have specially prepared for you with some surprises: my 3 more recent albums (Belleza Silvestre, Tu continente and Hasta el nuevo sol) + usb with the rest of my discography in mp3 + versions of unpublished songs + tea can + photos and more. (Only for fans). (If you live outside Colombia the shipment must be mutually agreed). 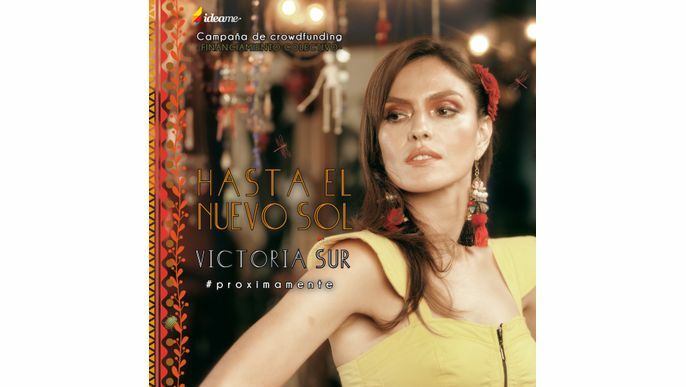 Sé un colaborador en el disco "Hasta el nuevo sol".Tu nombre aparecerá en los créditos, podrás compartirle a tus amigos lo importante que has sido en todo este proceso y yo estaré muy agradecida con tu aporte para la realización de este sueño. Gather your group (6 to 15 people) and let's share this experience. This workshop brings together the approach of my experience as a singer and a teacher. One day session, 7 hours in total. (Available in Bogotá).Transportation and accomodation not included. Together with Beto Ojeda, co-producer and arranger of the disc, we will do a private concert of the new album and we will spend sometime with you. (Sound, travel expenses, transportation and accomodation are not included). I’m very excited about the things I’ll share with you soon. I’m about to release my fifth album, featuring 10 new songs. This is so special because I hadn’t published my own material since 2010’s “Belleza Silvestre”. My most recent album was “Tu Continente”, released in 2015, which I made as a tribute to women composers of Latin America. This experience helped me reach a female essence through songs made by women of my continent. A double mother, that is: I had twins. This made me understand how everything changes when life passes through our body and spirit. To me, this has been a rebirth, an enlightenment. These new songs show a new way of understanding life, the world, feelings, illusions and even fears. Recently I became a mother. 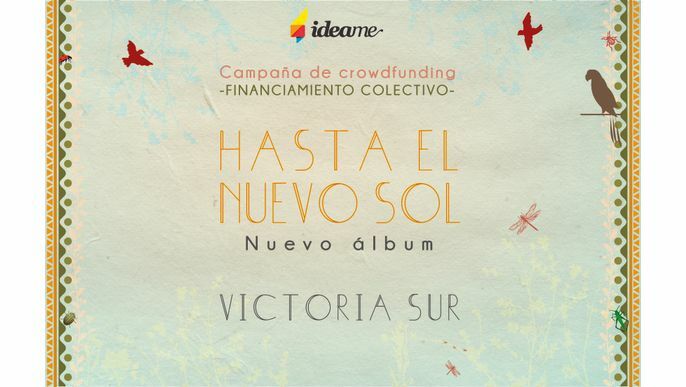 The new disc will be named “Hasta el Nuevo sol” (Towards the New Sun). In it, I will go back to some of the sounds that have been with me in all my career: rock, jazz, song and Latin folklore. We independent musicians can continue with our music thanks to you. There are many costs involved in a recording process: session musicians, engineers, recording studios, mixing, mastering, arrangements, production, CD cover design, pressing, photographs, etc. Sites such as this one (IDEAME) offer us the possibility of crowd funding. This means we all together are producing this album. How? With your contribution, you will help me build this dream, and I will offer you some nice rewards: the new CD autographed, my previous albums, singing workshops, Skype talks about composing, songs written by request, a box full of surprises, and more. It will be exciting to make you a part of this new recording and production process. Welcome to this musical adventure. Con el 10% podré continuar las grabaciones en el estudio (el estudio de grabación es una de las cosas que más cuesta en la realización de un disco) . Con el 25% podré continuar con las grabaciones en el estudio y pagar al grupo de músicos invitados. Con el 50% podré terminar las grabaciones en el estudio, empezar la mezcla y pagar la coproducción musical. Con el 75% podré terminar las grabaciones en el estudio, la mezcla y la masterización del disco (el 25% restante faltaría para pagar el diseño de la carátula e impresión de los discos).